Chalutz Productions | Chalutz is the hebrew word for pioneer and the name fits since the online broadcasting world is an experience which Podcasters and Vidcasters were pioneering at the time of our creation. Find out more about us by clicking on one of the shows below. Chalutz is the hebrew word for pioneer and the name fits since the online broadcasting world is an experience which Podcasters and Vidcasters were pioneering at the time of our creation. Find out more about us by clicking on one of the shows below. We aim to provide quality family friendly video content that is both educational and entertaining to people of all ages and locations around the world, along with a smile. We use high quality professional equipment to film in a candid family video style, which creates a relationship with our audience and reminds them of their own treasured family memories. Our work is guided by the goals of including family friendly material that aligns with Jewish values, entertaining storytelling which connects with people on an emotional level, and education on a topic of interest to many but addressed by few. By keeping these goals in mind and featuring real people who are good at what they do, we are able to provide a quality product that is sought after regardless of the background of the viewer. 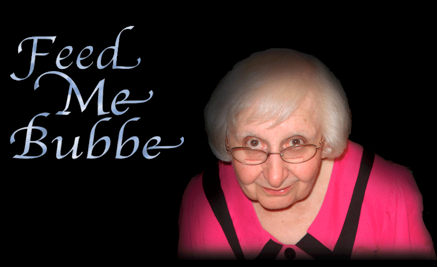 FEED ME BUBBE Home of award winning online video show Feed Me Bubbe as featured in ABC World News, Wall Street Journal, Featured in a PBS FRONTLINE Documentary movie, and multi award winning author of Feed Me Bubbe the book available at Amazon and Barnes and Noble.